Cryogenics is by far the most versatile, effective & economic option of deflashing rubber parts, a compact range of time-saving and quality enhancing deflashing machines. of time.Cryogenic deflashing extends mold life. 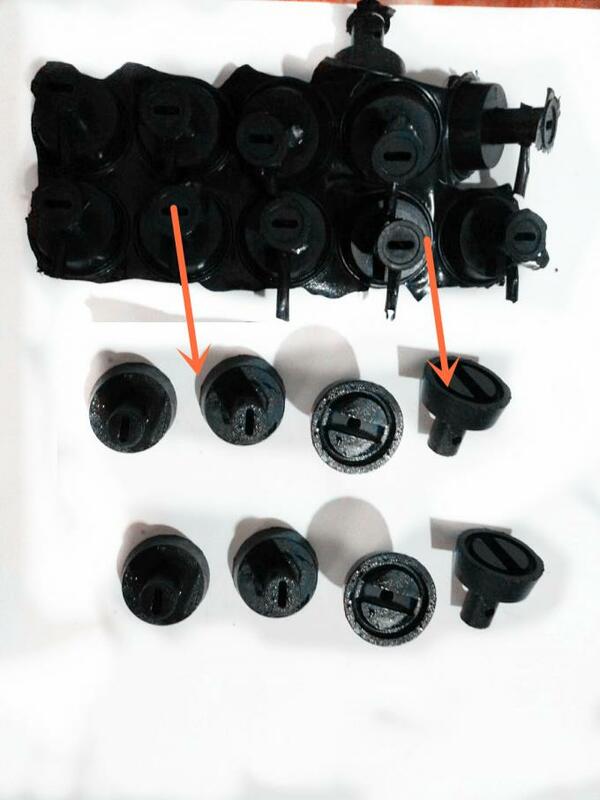 Rather than replace or repair a mold (which typically involves downtime and high cost), the parts can be deflashed. 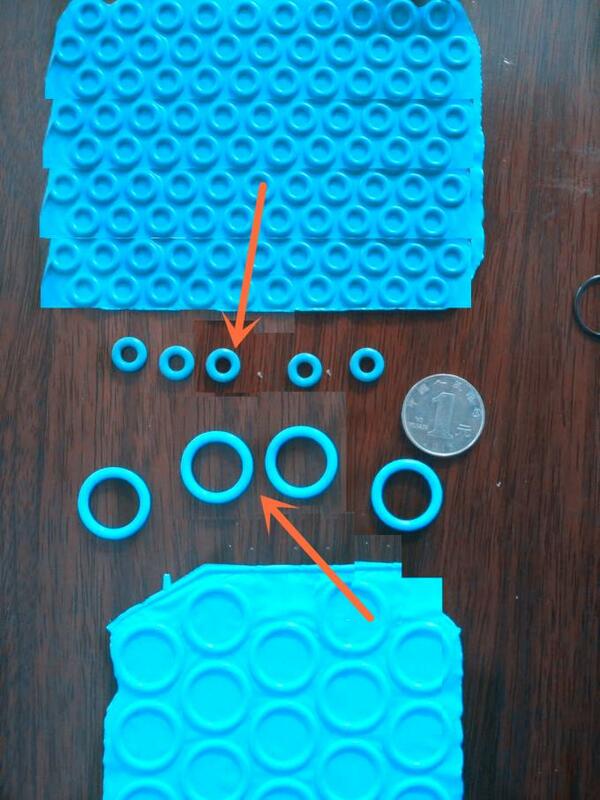 This is typical of parts molded at the end of their product lifetime. the opening for the throw wheel. Use the friendly HMI, all parameters can be seen clearly and it is quite easy to operator. Deflashing machine also known as deburring machine. Though this cryogenic deflashing technology is in existence for over 50 years, its practical introduction happened about 20 years back. Its popularity is on the rise in last 15 years. 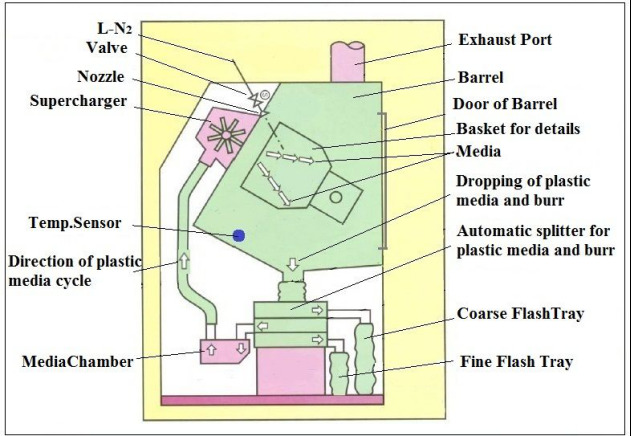 This process uses liquid nitrogen, high-speed rotation and media (shot blast) in varying combinations to remove the flash in a highly precise, economical and practical manner. Compared to manual deflashing and other traditional deflashing methods. It also offers complete flexibility to multi-material processors. Example: Our Model SD-M/MT, with 120L basket capacity, daily ( 8 hours ) can complete the processing of 400~800kgs, which is equal with 30~100 workers manual job under the same working time. It’s a totally amazing productivity. 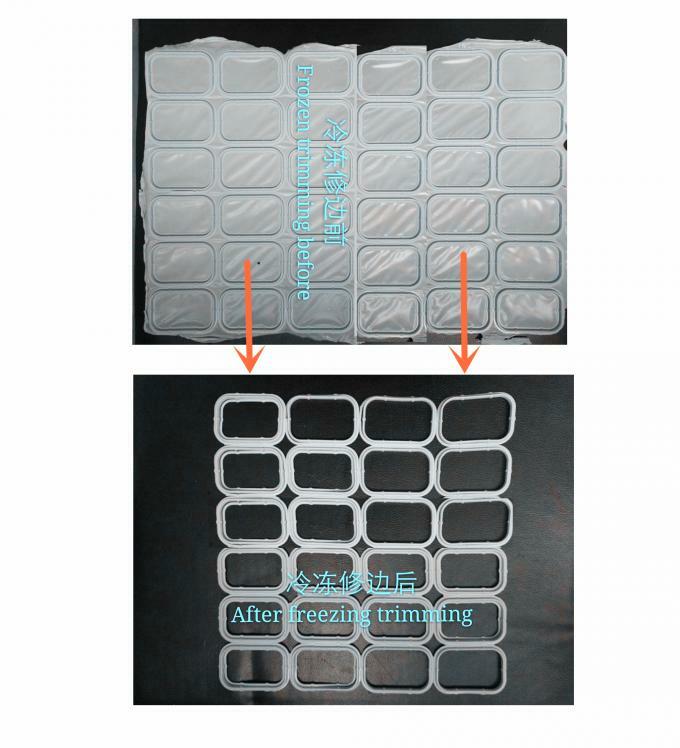 How does the Freeze Trim/Cryogenic Deflashing Trimming Machines work ? 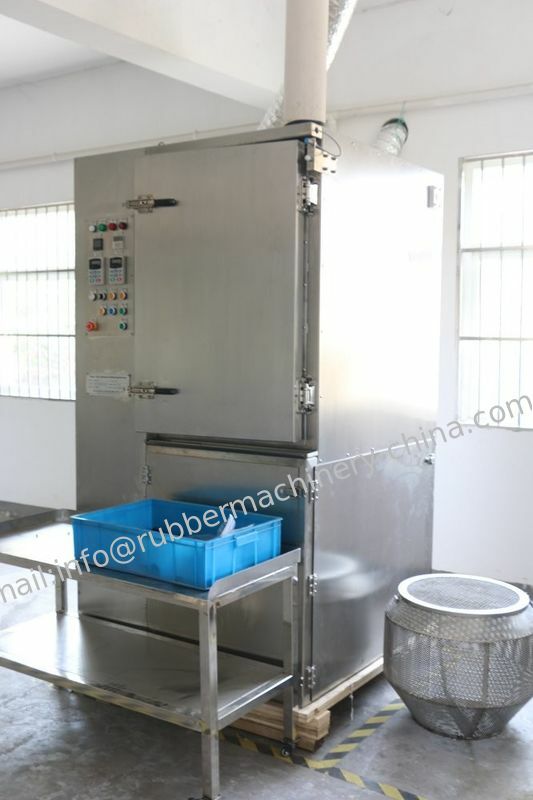 the blast chamber of the Freeze Trim and the basket is mechanically rotated to expose all parts to the blast media. Liquid nitrogen lowers the temperature (some cases up to -140°C) while freezing the rubber to make it brittle. Because the burrs have a high surface area relative to their mass, they “freeze”very quickly and become brittle. 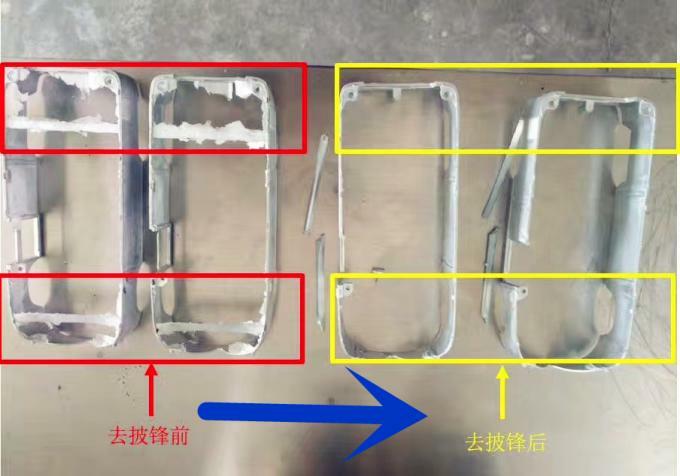 The physical properties of the parts are not affected during the deflashing process. A unique high speed impeller (up to 8,000rpm )directs and throws the polycarbonate media into the rotating basket and by travelling at high speed, the small pellets cleanly trim off the brittle flash leaving a high quality, flash less moulding. The tumbling action— combined with the impact of the media— removes the burrs without damaging the part itself. After the process is complete, parts are returned to room temperature. This cryogenic deburring leaves a clean part—with no dust or other residue remaining —with 100% burr removal. 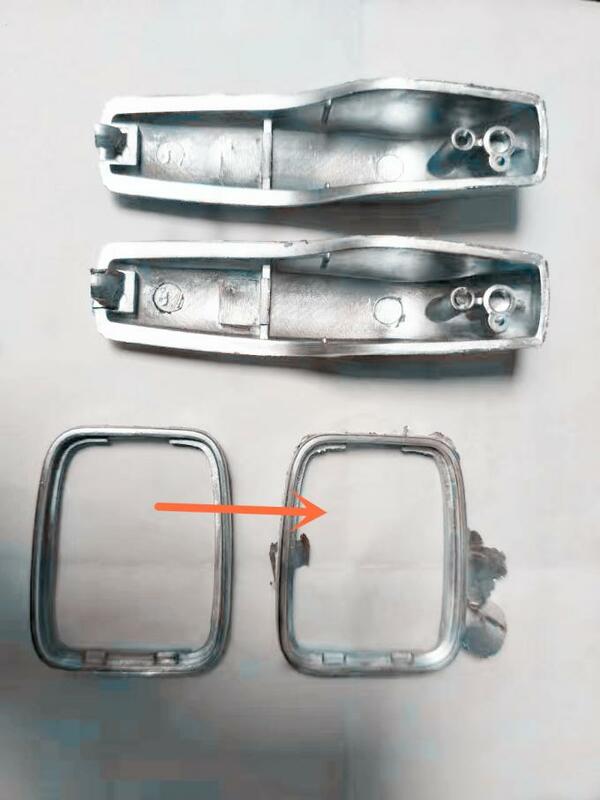 Deflashing process is exceptionally good at removing the inner dimensional and complex flash in your products that cannot be removed by any other method. 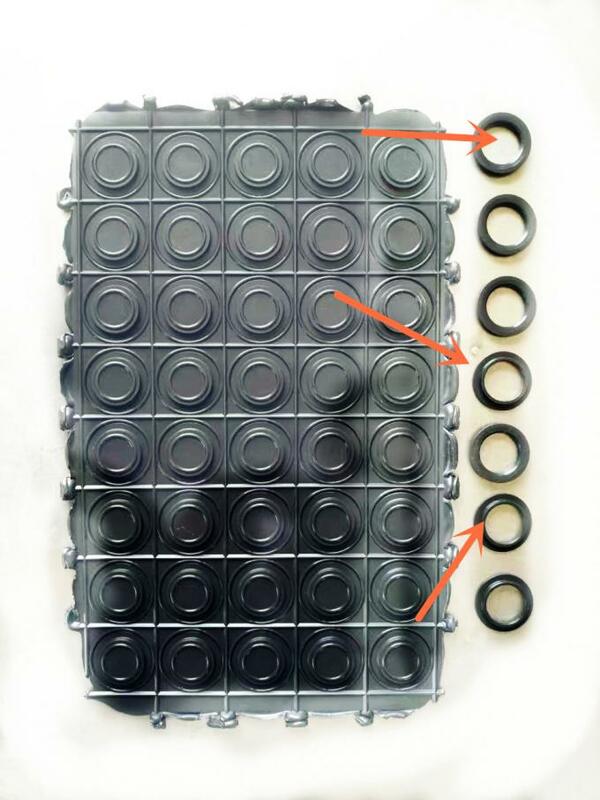 batch (which is, dependent on the size of your moulded parts); flash thickness; wheel speed; and size of media used. Big capacity of Basket is our unique, which dual bring with users a totally amazing productivity.